There is a wide acceptance that parties which involve adults haveThere is a wide acceptance that parties which involve adults have alcohol involved also. But, there are numerous reasons why this may not be sensible. You and some of the guests you are hosting might be in recovery from a problem related to drug or alcohol. Being near others who are taking alcohol can make them relapse. Email There are social considerations also; even though people think alcohol is fun, it can cause inappropriate language and behavior, destruction to property and violence. Lastly, there might be cultural reasons why you or some of your visitors do not want to have alcohol near you. Tips to serve your guests alcohol and maintain sobriety! You may wish to serve alcohol at home but maybe want your guests to remain sober. If your visitors get drunk, your dinner party might end up being a slumber party if they are too drunk to leave! Offer your visitors something to drink, apart from tap water or wine. Many individuals would want to drink low-alcohol or non-alcoholic drinks if they are available. 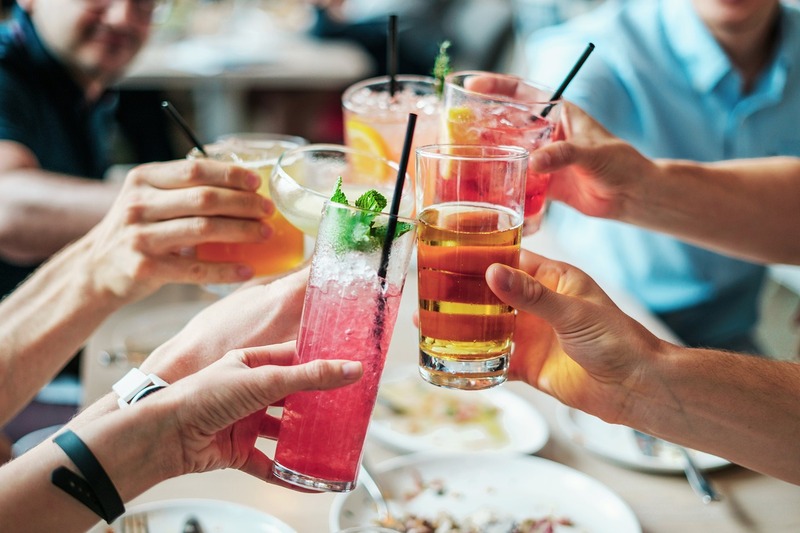 Ensure you have a choice of sparkling and chilled still water, a range of soft drinks and fruit juices and alcohol-free drinks (for example alcohol-free Rum or Gin) and low-alcohol beer, red wine, and white wine. Consider the alcoholic drinks you provide also. There is a wide variety of strength in the beers and wines available. Therefore, pick the ones with the least alcohol percentage. If you have alcohol in the house like vodka, brandy or whiskey, lock it away to avoid your guests from drinking it, either deliberately or accidentally. If they do, they will get drunk in a short period and may even throw up on your carpet, lawn or furniture if they drink alcohol too fast. Serve your visitors and put the bottles away. Avoid putting out pitchers or bottles for your visitors to serve themselves drinks. Personally, serve the drinks and if necessary, make an effort to be a good hostess or host at timed intervals and top up every half hour for alcoholic beverages. Provide non-alcoholic drinks often if you want, such as Gin and rum. Place the bottles in the cabinet or fridge to avoid guests serving themselves. If you do not wish to serve food, ensure that you have snacks that your guests can nibble on. If they become hungry and cannot get food, they will most likely drink to control their appetites and digesting food slows down alcohol absorption. When serving a meal, give your guests an appetizer or provide some freshly baked bread before serving any alcohol. Make a wise selection of the food you serve. Your two objectives in choosing foods are to slow down the absorption of alcohol as well as the drinking pace of your guests. Foods that are moderately high in fat like creamy dips, pate, crackers, and cheese will reduce the alcohol absorption more, compared to fat snacks like fruit which have a good health record but will not work effectively on their own. But, since fruit has more water compared to many foods, it will assist to keep your guest from becoming thirsty. You should be careful to avoid salty foods like salted nuts and potato chips that will make your visitors thirsty and raise the possibility of them drinking fast. Here is a guide for a variety of alcohol-free mocktails served in style!